Because I was craving for Korean food yesterday, I convinced my friends to have lunch with me at Wang Hwang So Korean Grill located near the office. To be precise, it’s found at Dispo Philippines Inc. Building, corner J. Escriva Dr. and Gold Road, Ortigas, right across Astoria Hotel. I’ve been there once with my aunt and I really enjoyed the experience. The staff was very nice and I felt quite pampered because the owners were there as well, overseeing the cooking and serving. 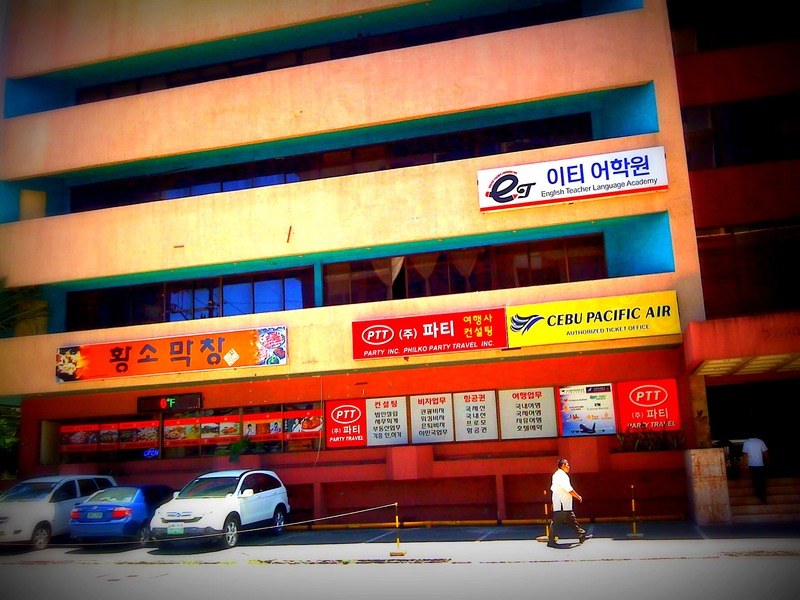 It was also a nice, cozy place serving affordable yet good food. Hence, why I decided to go back there with my friends to satisfy my craving. 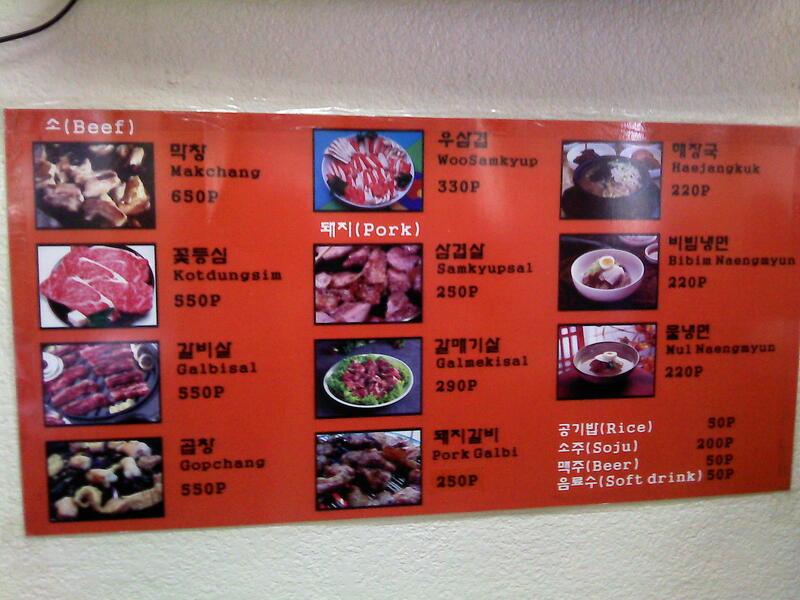 The menu consisted mainly of a selection of beef and pork cuts for grilling. 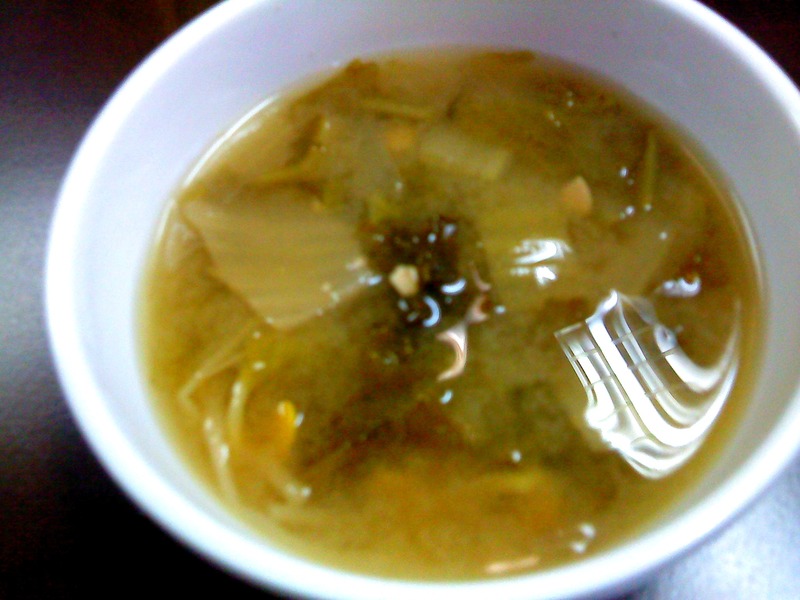 There were also some soup and rice dishes but these weren’t really the place’s specialty. 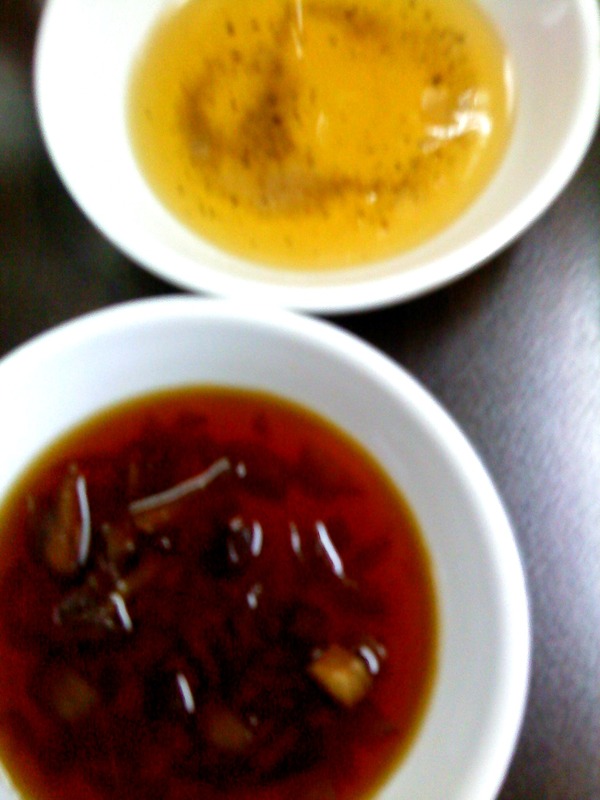 For our meal, we decided to get Samkyupsul and WooSamkup. 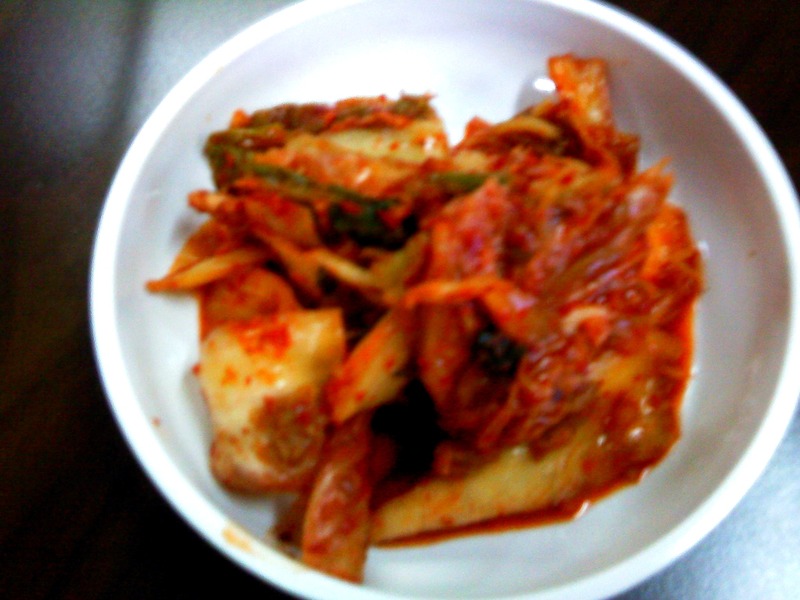 They also gave us the usual kimchi side dish. 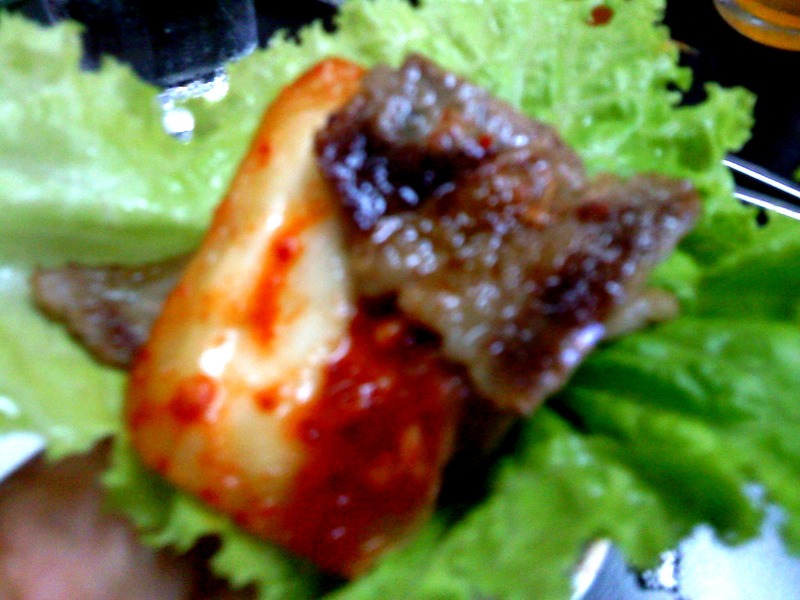 Their version has crisp cabbages and a spicy paste, unlike some I’ve tasted, which are sour or salty. 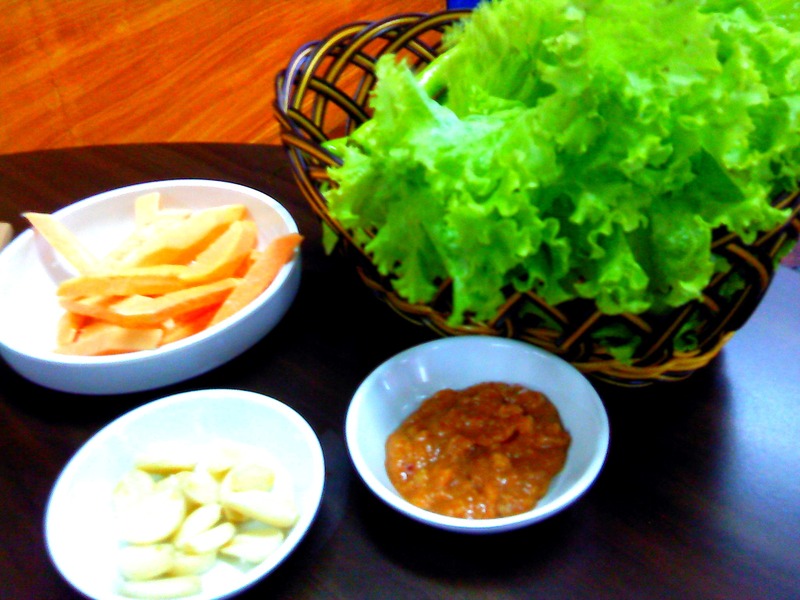 We also got some lettuce leaves, chili paste, sweet potato sticks, and garlic halves – the usual. 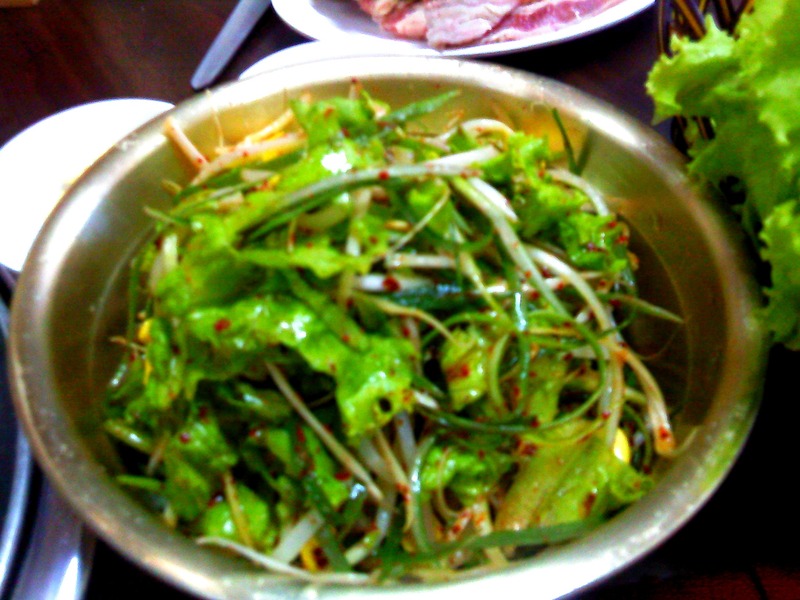 On top of that, they also serve this bean sprout, cabbage, spring onion salad that’s tossed with something that tastes like a vinaigrette mixed with chili paste. Once everything was done, the eating began. 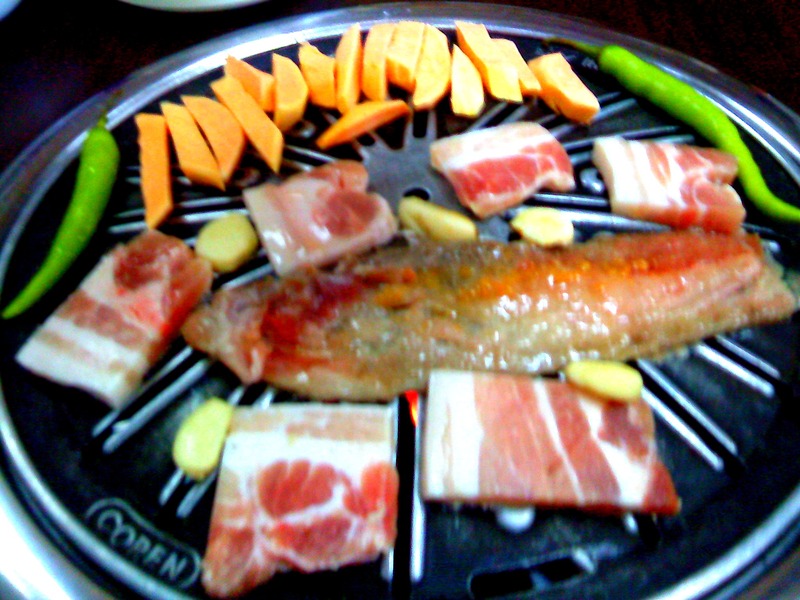 Eating at Korean grills is such a fun process. 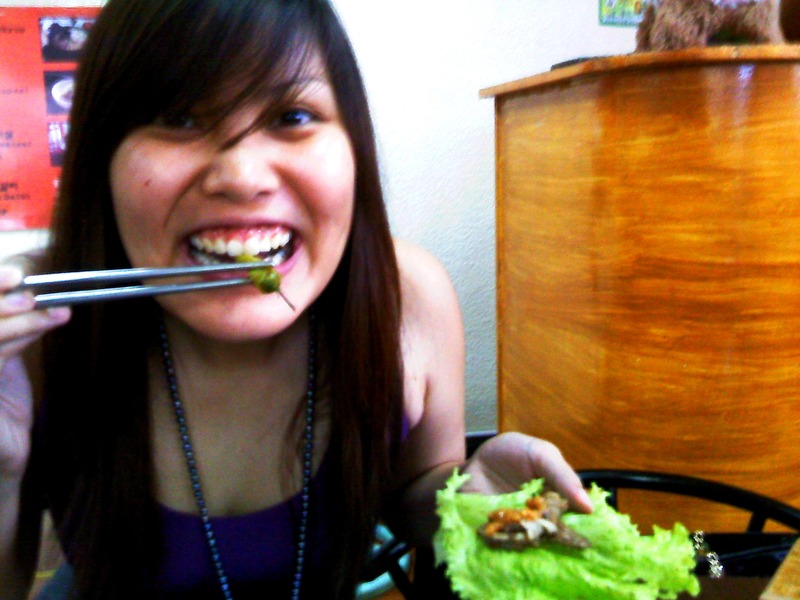 First, you get a lettuce or mint leaf. 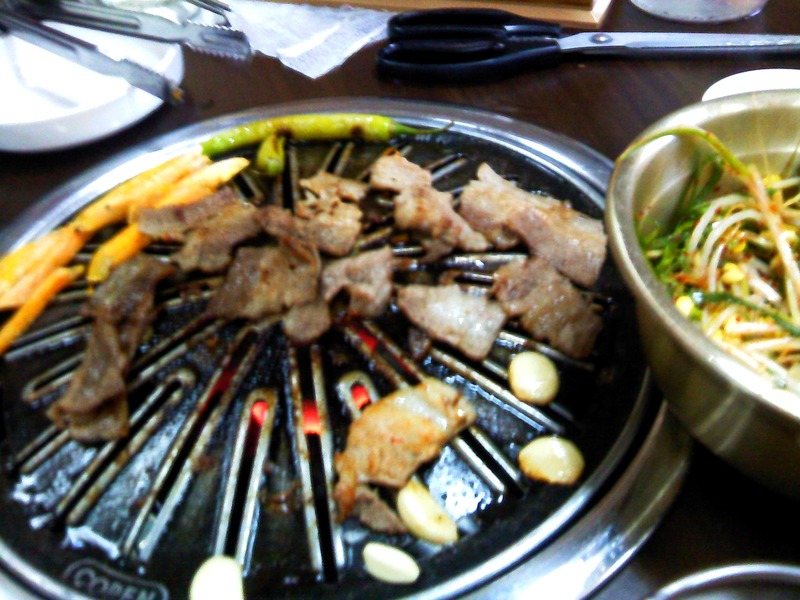 Then take meat from the grill and dip it in the sauces available. 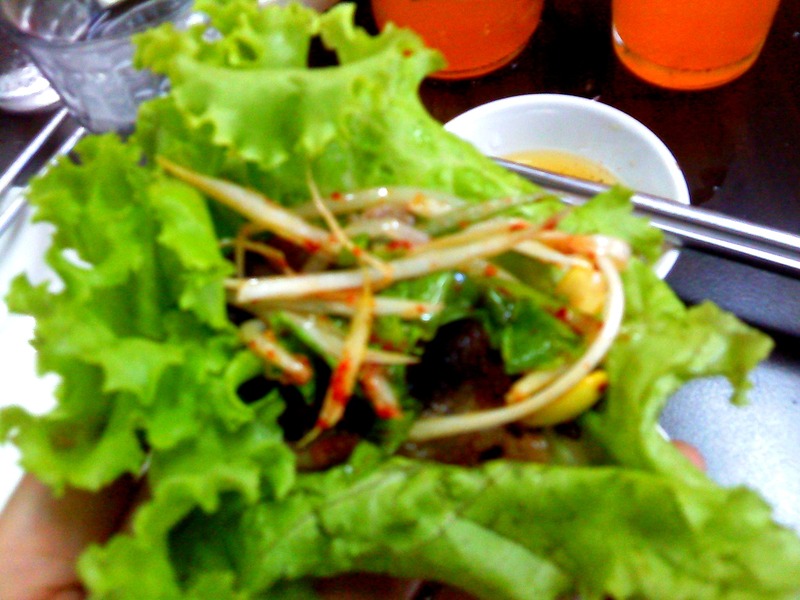 Put the meat on the lettuce and add whatever you like – kimchi, salad, garlic, etc. It’s all about creativity, this mixing and matching. 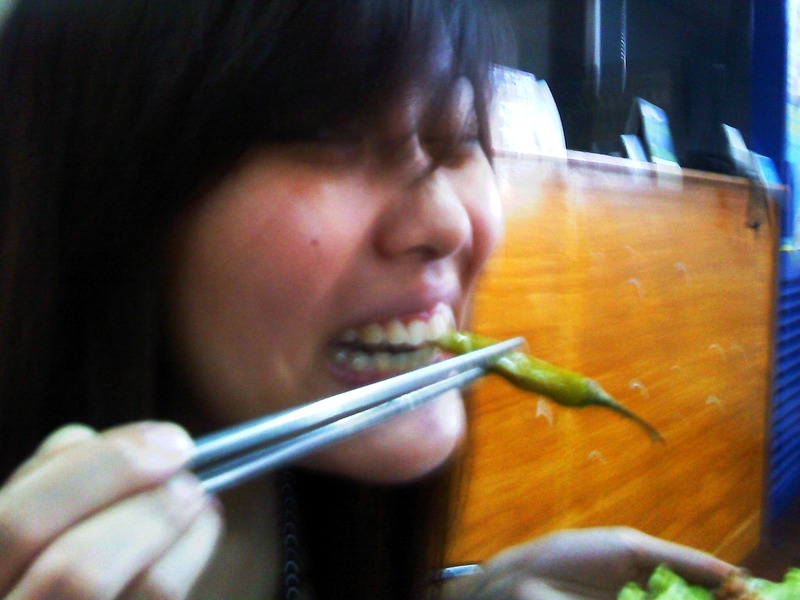 For instance, Joey, ever the bold and daring one, ate a whole grilled chili with her wrap to spice it up. We went back to work full and satisfied. 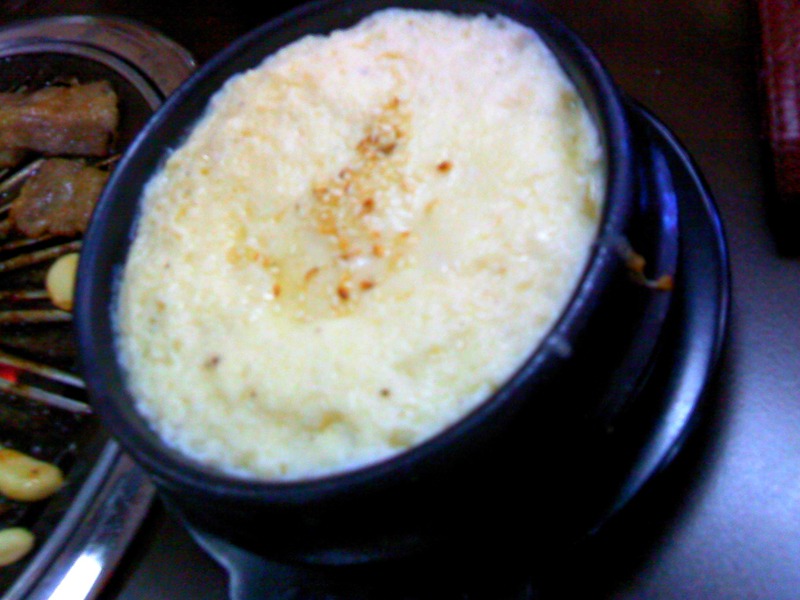 I really like the place and I recommend it to people who love Korean food. Jal meokkesseumnida! Previous Oh, PS! My Heart Skipped a Beat! i had Chinese last night but you don’t see me blogging about it. Mich, youre such a good writer. Ibang level ka na talaga . More power to you. Pingback: 2011 Favorite Food Places « Honey, I'm home!